Together, we comprise a community of kindred spirits that live within the Christmas story and other sacred stories. Our heritage and our legacy intertwine in the shared meaning of “Immanuel”, God with us, a rich global legacy. Within our Christian experience surrounding Christmas, our one underlying essence is that our God, a loving, endearing Creator lived as we in the circumstances of our struggles and journeys to experience and understand our reality of life. The vulnerabilities and suffering, the temptations of power, ego and exclusivity, all were faced. Even as a child forgives and loves unconditionally, so God in Christ offered such grace to bless our lives. We, amongst many faiths, are kindred spirits made such in our mutual journeys to be one with the Divine and one another. The Christmas blessing is recognition of our oneness beyond nationalities, denominations and faiths. 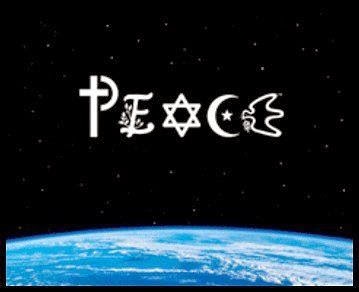 Peace on earth is our vision. Our hope envisions unity in diversity. Joy to the world is our expression of community reverberating through the ages. As we daily take time to gaze upon the mirror of Christ, may we see our emerging selves breaking forth, reflecting our love to others, inviting all to become kindred spirits on our mutual journeys of peace. “God is with us, who can prevail against us” Go forth in Christmas love, joy, hope and peace.